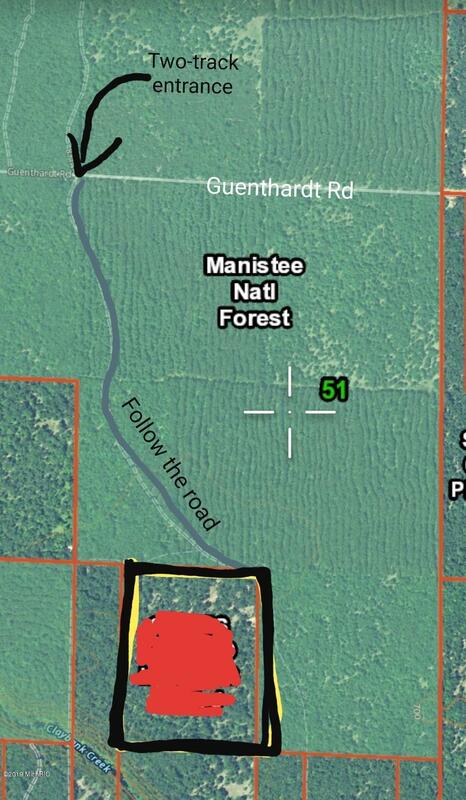 Amazing 30+ acres adjacent to the National Forest ready for you to enjoy! 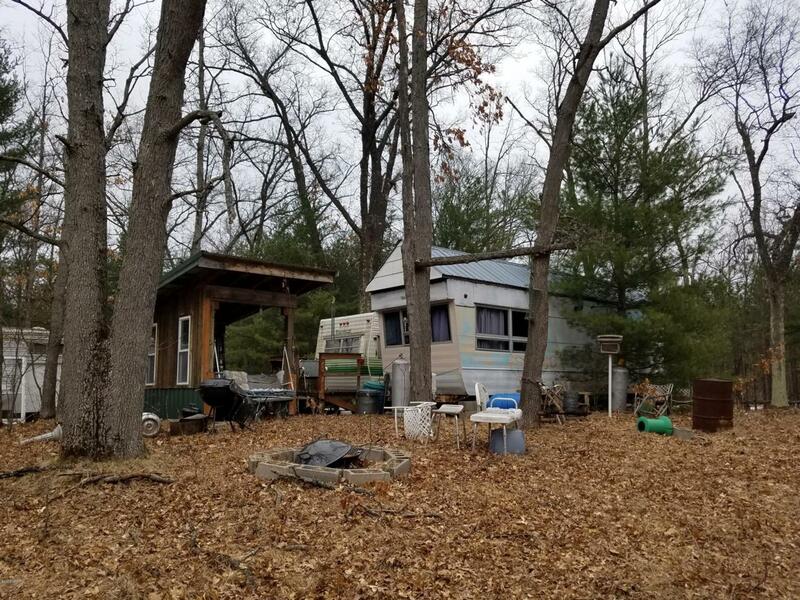 Beautiful wooded, rolling hills with a concrete slab ready to go with two trailers and a lean-to. This will make a perfect campsite as it stands, but has the potential to build your very own cabin get-away! 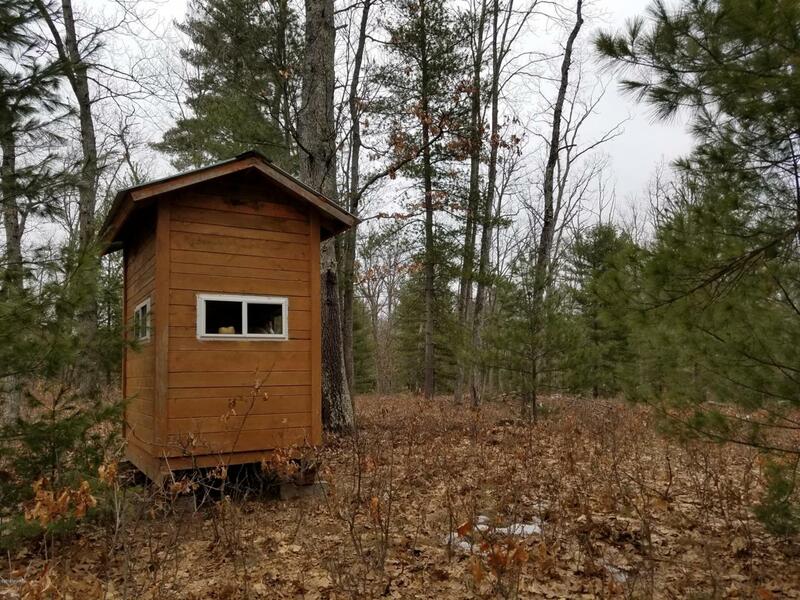 There are two hunting blinds, with one having foam board insulation and a propane tank heater. Who says you can't be cozy in the woods! Pine Creek is nearby in the South-West corner of the property. Downtown Manistee is only about 25 mins away. Don't miss out on this amazing property! 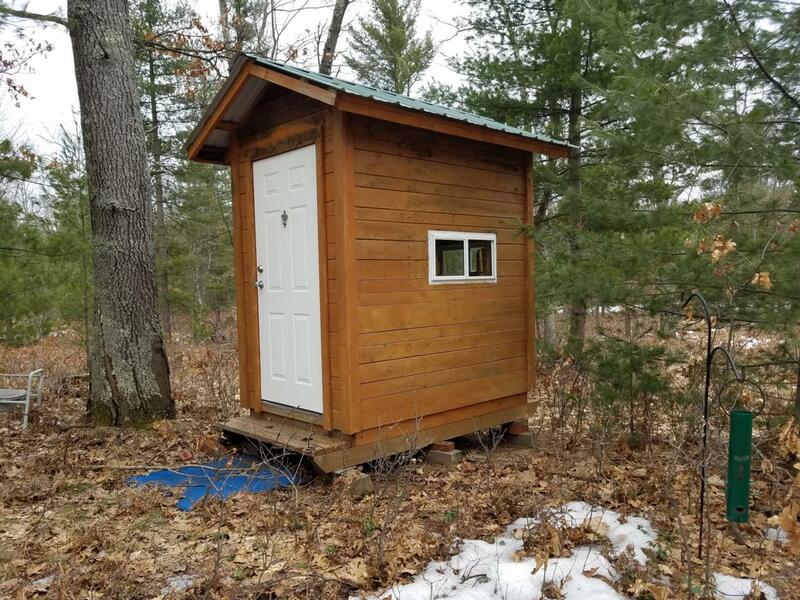 Listing provided courtesy of Kayla King of Lighthouse Realty-Manistee. © 2019 MichRIC, LLC. All rights reserved. Information deemed reliable but not guaranteed.